Happy weekend my Inside-Out Beauties! Today I finally got to upload this natural makeup look tutorial requested by a subscriber and Twitter follower/friend Niaa . Niaa is from Indonesia, and was looking for a natural look that she could wear for college. Keep reading to learn more about what I came up with! 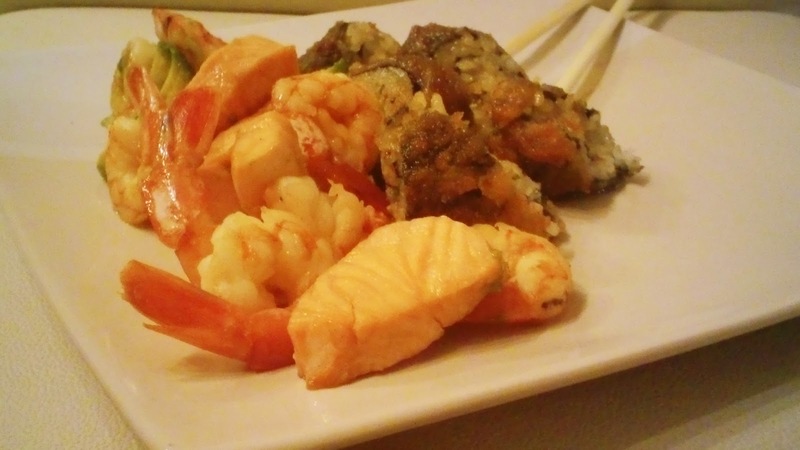 FOOD | Food Friday: Sushi Night! 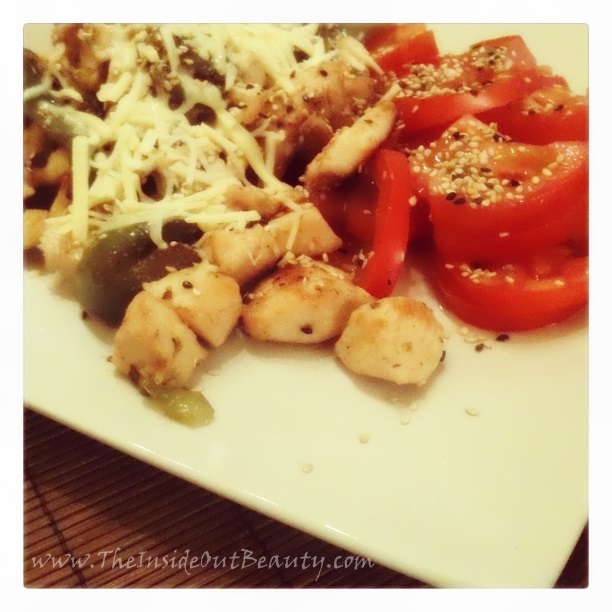 Welcome to Food Friday, where I share with you Friday's Meal of the day. This is what I ordered last night: Japanese food! 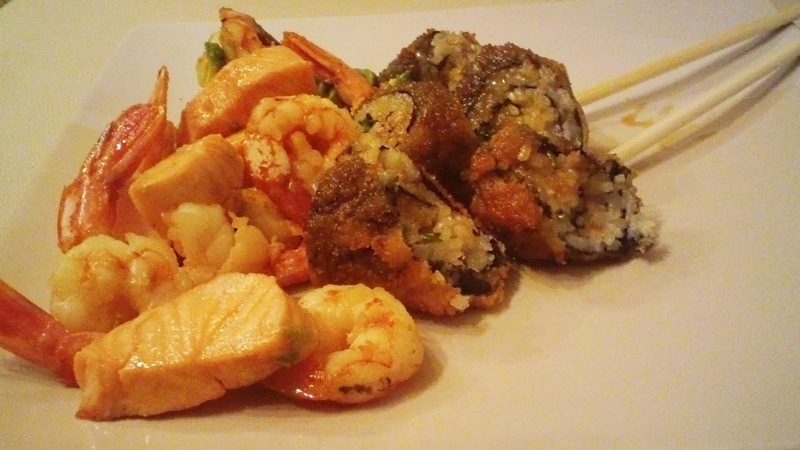 Let me show you a closer look at this delicious dish! 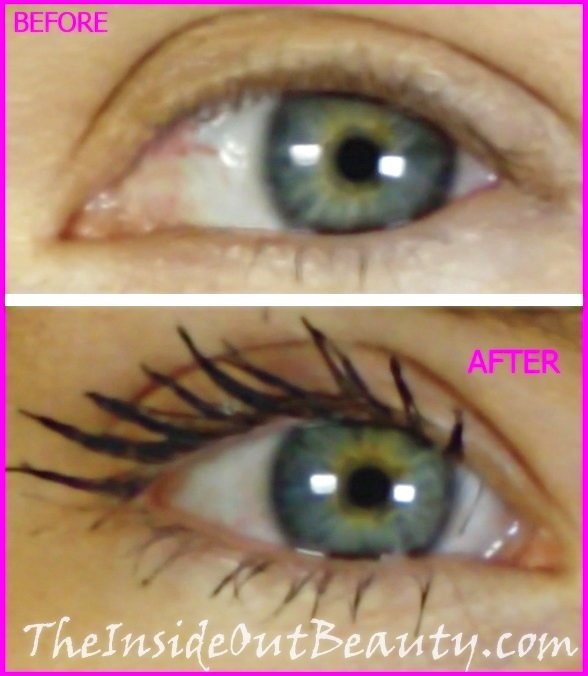 NEW TRICK FOR LONGER, FULLER, SOFTER, SEXIER LASHES !!! I'm very excited about my NEW video!!! In this video I'm revealing a trick, you've never heard of before to get FULLER, LONGER, SEXIER and SOFTER LASHES! If you have a quick look at the before and after picture, you'll see how blond my bare lashes are! 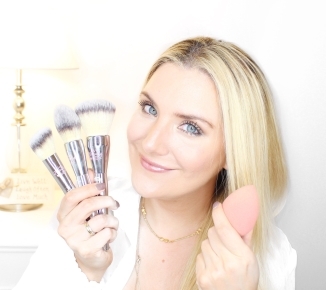 I will share with you in this video, and step by step, how you can achieve the same amazing results I do, in a few minutes and WITHOUT using FAKE LASHES! REAL LIFE | What I LOVE doing on weekends! and it made me realize just how important taking a break is! Specially doing some out-door activity. Because I was not able to take a proper R & R time, I felt a lot slower on Monday :-/ But that is not always the case! We're very lucky to have a River Delta nearby and even luckier to have relatives that usually invite us to go sailing with them. I have given this post way too much thought. My hesitation came mainly because some of my readers are too young to have even tried to conceive, and it is not my intention to scare anyone. Even though miscarriages are very frequent, please understand this does not mean that it will happen to you too! 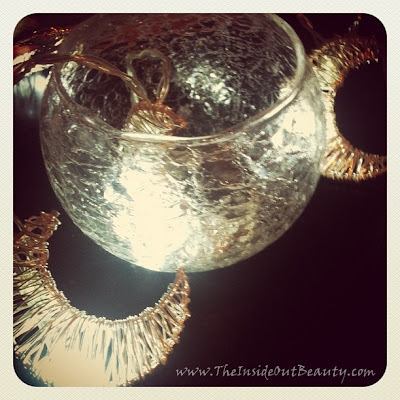 This is an InsideOut Beauty and Lifestyle blog. Inner beauty is about letting our past experiences make us better. 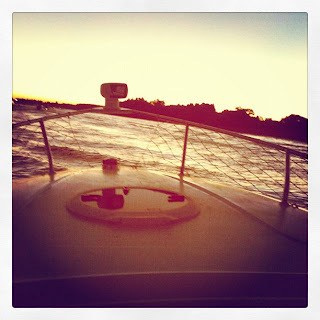 Life is about gains and losses, smiles and tears, sunshine and sunsets. The overwhelming feelings of numbness, loneliness, sadness, guilt and frustration after a miscarriage are beyond words. But it is bearable, and if you're going through this yourself or someone you love is, maybe my story may help you cope or understand. Many people may be of the belief that because the child was not born it was not 'real', and hence the loss may not be so difficult for the mother. It's understandable. To the mother, however, the baby was real. A mother loves her baby from the moment of conception. There are plans made, names thought, dreams of holding that baby. A miscarriage means the experience of both emotional and physical pain for the mother. When I miscarried my first pregnancy last November 2012, to my surprise I found the best support online on YouTube and Google. Had it not been for those brave and generous women that opened up publicly to share their personal experience with me, I would have felt a lot more confused, alone and lost in my pain. I just wanted to make this very quick post to share a few pictures of what I ate for lunch and dinner yesterday. 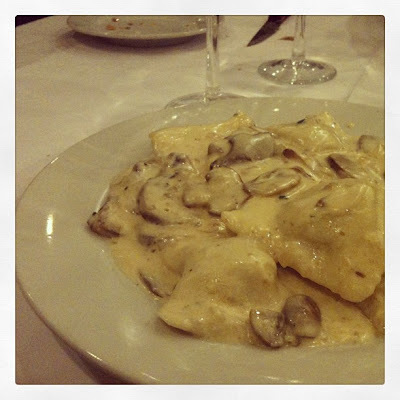 I went out for lunch to an Italian Restaurant and had Lamb Ravioli with cream and mushroom sauce! Those were SO delicious YUM! For dinner, at home, I tried to slow down ( just a little bit :P ) and here's what I made! BEAUTY | Mini Drugstore Haul !!! 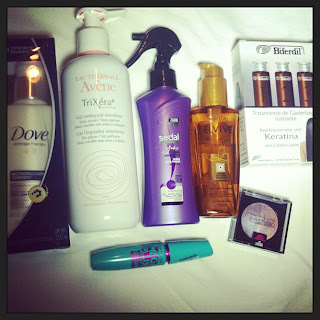 I made a very quick stop at my local Drugstore, so I thought today's post would include a few pictures of the items I got there :) I'm really excited about all of them! Let me walk you through these really quickly, and show you some more pictures on each one... So, if you're curious... just keep reading! 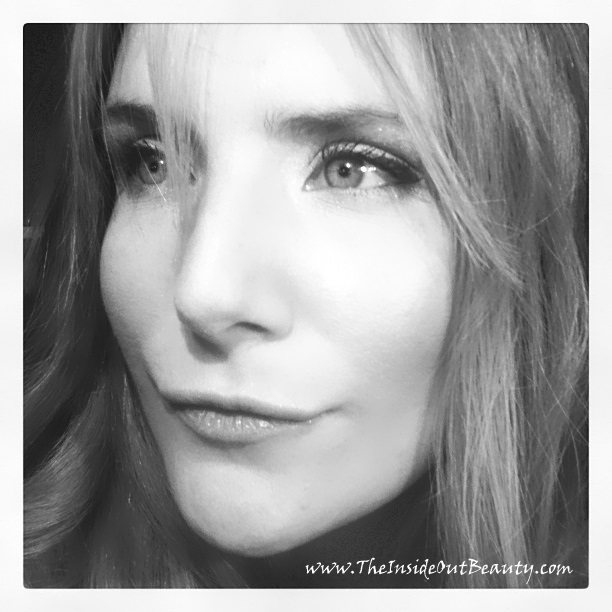 INNER BEAUTY | INNER BEAUTY QUOTE OF THE DAY! Let me share with you a very special quote today. If you follow me on Twitter, you probably know by now that I tend to tweet my favorite Inner Beauty quotes. And a couple of days ago, a Twitter friend called Sana tweeted me this image with a longer version of one of the quotes I love the most by Elizabeth Kubler Ros, because it reminded her of me! 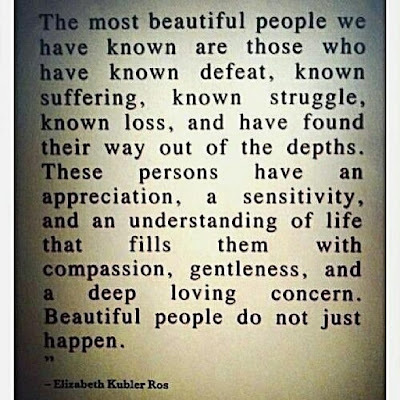 This quote is about the beauty that comes with resilience. That ability to overcome an obstacle or challenge, to bounce back and actually grow from a hurtful experience. Just like Sana, I hope you too share new quotes with me. Welcome to Motivation Monday my Inside-Out Beauties! If you already have, and would like to read the Blogging Tips I extracted from this movie... here they are! FOOD | How to Snack Smarter! I was just thinking about starting to eat healthier next Monday [ I know! Such a cliché, right? ]. But, anyways, that brings me to the reason for today's post! Eating right and healthy is a key factor in bringing our beauty from the inside-out. I think you will agree that a healthier body is indeed a prettier one! I don't know about you, but my biggest diet "mistakes" happen in between meals, during snack time!I sometimes feel peckish and just feel tempted to eat anything that I can instantly grab on the go... and that generally means junk food :-/ Now this was one of the topics I discussed on my last visit to my nutritionist. I feel that snacking is my weakest point, "what are the healthiest snacks?" I asked. And her answer was so simple, and made me realize just how easy it actually is. Mother nature has given us the healthiest snacks years before the food industry even existed! 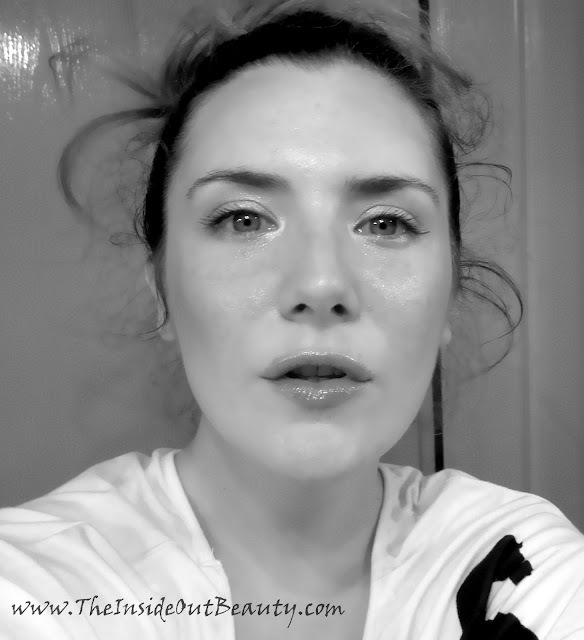 Today's post was requested by a very dear Youtube subscriber, Jennifer Boyd. Back when I did my Naked Palette Day Look tutorial, she suggested I shared a Night Look. I finally got the chance to get to her request, so here it is: a Golden Night Look using Naked Palette (and a couple of other products too, which I mention on my video). As always, here are a couple of notes and a step by step guide on how to achieve it! 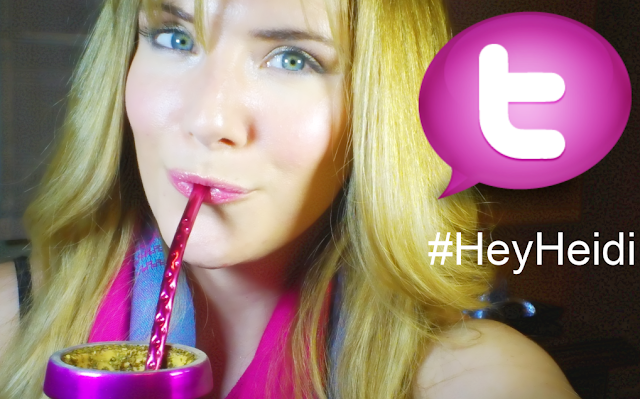 TWITTER | #HeyHeidi Your Twitter Questions Answered! this new #HeyHeidi section to answer all your Twitter questions! REAL LIFE | HOW I EXERCISE! I have a confession to make... right here, right now.I've always been very bad at sports! There... I said it :D I really can't complain because God gave me so many other gifts. But, coordination was not one of those! If you've recently watched my Youtube videos, you probably noticed, I've been playing around with some new backgrounds and trying new alternatives. I feel that having a nice background is crucial for my videos. It creates the right atmosphere for me and my viewers to engage in the topic of discussion. Here is another "Meal of the Day"! My husband and I made this delicious Garlic Chicken Wok with fresh Tomato siding ! It was actually really EASY! 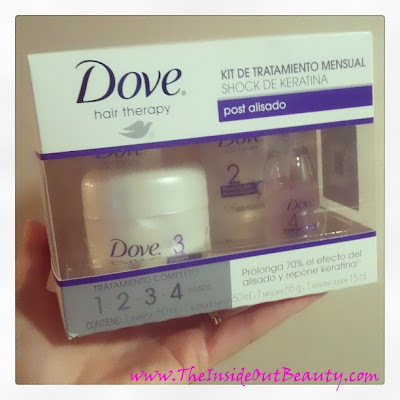 Many of you may remember my post and video raving on Dove Damage Therapy Vital Keratin Dual Shot Treatment . As you know, I have a lot of very long and wild, frizzy hair, and this product absolutely saved it when I thought my only choices were either to chemically straightening it or just cutting it off. I really love having long hair, so I'm always hopeful and willing to try new products. I also had good results using Keratine Gel and Heat to eliminate frizz and achieve a slick straight hair style. Here's a picture of my hair right now! BEAUTY | Sephora Blockbuster Palette Review! Can you believe the little Sephora Shopping Bag I'm holding on the photo above can turn into this gigantic palette with over 180 different colors and makeup products?! This is the Sephora Blockbuster palette I got back in 2010. For only $48 USD, I got a $435 USD value and almost anything you can need to do your makeup. This product was LOVE at first sight! Rather than a "Palette" this product is a makeup set or kit. Let's have a look at what's INSIDE! INNER BEAUTY | How to Be Happy #2: Forgive! Hope you had a lovely Easter, if you celebrate it. I'm so happy to be writing my second post on this How to Be a Little Happier Every Day series, that started about 2 weeks ago. "Turn hate into love, revenge into forgiveness and sadness into joy". Regardless of your religious belief, I deeply hope we can appreciate and reflect together on the beauty in this phrase, and how we can all be happier by embracing forgiveness.